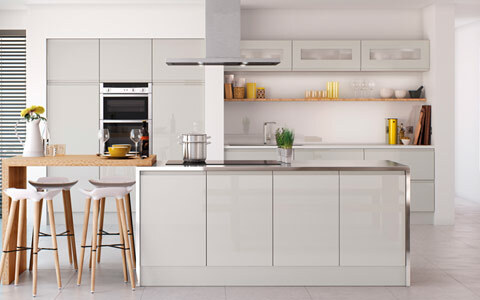 Handleless J-profile kitchen doors are one of the best selling kitchen doors in the UK market. 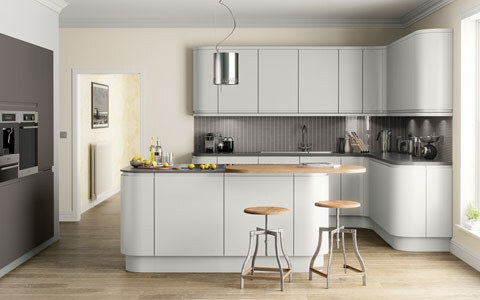 Our collection of handleless kitchen doors include doors in both matt and high gloss finish. Handleless kitchen doors are made out of MDF where the top/bottom of the door is recessed to create J shape groove which allows you to open the door with fingers without a handle. Being a handleless door, it’s much easier to clean and maintain. Handleless kitchen doors create seamless and contemporary kitchen decor. View our collection of handleless high gloss kitchen doors collection consisting of different type of doors to suit every budget. Fully stocked matt handleless lacquered J-pull kitchen doors. 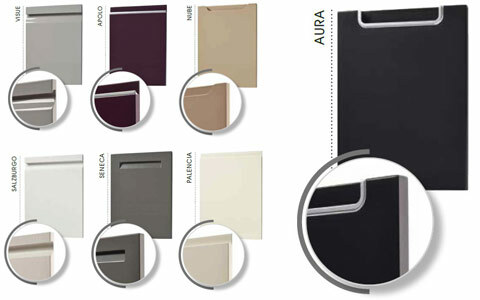 Durable lacquered handleless door collection consisting of 7 modern colours. Fully stocked in the UK. Made to measure lacquered J-pull handleless matt collection with 15 standard colours and ability to choose any colour you desire. On top of our J-pull handleless kitchen doors collection we also offer 7 unique and premium lacquered handleless kitchen door styles. Available in four different finishes which includes high gloss, matt, matt textured & metallic, our lacquered range is bespoke painted so you get to choose any colour you desire. 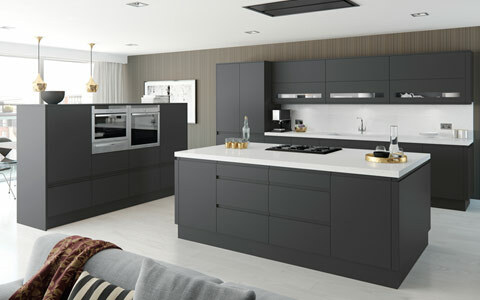 If you are looking for something unique and like the style of handleless doors then our lacquered collection is for you.